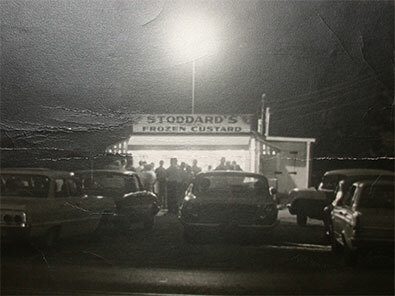 Stoddard's Original Frozen Custard has been a family-owned business since 1948 when it was started by Lea and Lyle Stoddard. Shortly after opening, Mr. and Mrs. Stoddard moved the building a short distance to where it currently sits at 1321 West Main Street, at the Stow-Kent border in Kent, Ohio. By the time Mrs. Stoddard opened up her second season, the business had grown so much that Mr. Stoddard quit his job at the machine shop, and started working side by side with his wife on a daily basis. After 19 years of continued growth, the Stoddards decided to retire and sold the business in 1967 to Daniel Kaye, who was a customer and was interested in buying the business. Daniel Kaye, a construction contractor, re-opened Stoddard's in April of 1968 after doing extensive remodeling. In 1981-1982 Daniel Kaye and his partner Dale Hughes, now a CPA in Hudson, Ohio, opened a second Stoddard's location in the Chuckery at the University of Akron's Gardner Student Center. The University of Akron location ran from 1982 to 1988. Daniel Kaye owned and operated the custard stand in Kent, Ohio for 15 years, until his untimely death in October 1983. At this time Lisa Kaye, Daniel's oldest child at only 18, took over the day-to-day operations with assistance from her grandparents Peter and Agnes Kaye, mother Louanne Kaye, sister Tracey, and brother Danny. Since 1997 Lisa Kaye has been owner/operator of Stoddard's Frozen Custard. 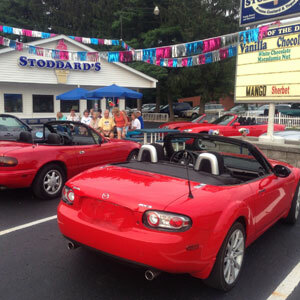 In 2006, the Stoddard's Custard Cruiser was introduced and can be seen at local festivals and area events. 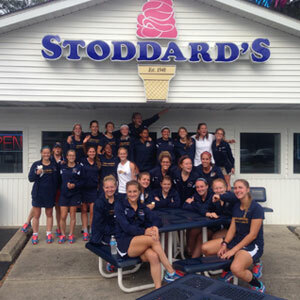 Stoddard's Frozen Custard is known for its SMOOTH & CREAMY custard style ice cream. For the past 70+ years, our frozen custard has been "Made Fresh Daily" by old-fashioned Euclid Beach type custard machines. These machines put less air into the product, therefore producing the smooth & creamy custard style ice cream that is well known at Stoddard's in Kent, Ohio. Since Stoddard's Frozen Custard's beginning, our goal is to provide a quality frozen treat at a fair price, with quality ingredients, made fresh daily on premises. Stoddard's uses only the best quality fruits, nuts and purees available. Our mission is to see that every customer is greeted with a friendly smile at the window and leaves happy and satisified, with a quality product. Stoddard's offers Vanilla, Chocolate and a Special Flavor of the Day every day along with our Home Made Ice Cream & Low Fat Yogurt, No-Fat No-Sugar Hard Ice Cream, Sherbet & Dairy Free Sorbet. Stoddard's products come in many flavors, and there is always something for everyone. Our custard style ice cream is lower in butterfat than traditional hard ice cream and is made on an hourly basis through our old-fashioned custard machines. We know you will enjoy our SMOOTH & CREAMY Custard Style Ice Cream. 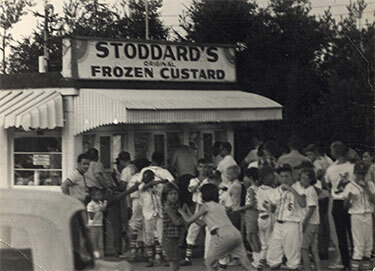 Our Motto: "We Put Care--Not Air--into our Custard Style Ice Cream," and that is one of the many reasons why Stoddard's has been so popular for the past 70 years. 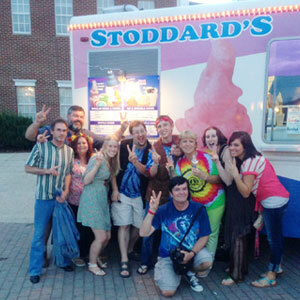 The Stoddard's Crew wants to THANK all of the hundreds of thousands of patrons that have made Stoddard's what it is today! "In Pursuit of Excellence...One Scoop at a Time"